Chang Jiahuang was born in Dunuang, China. 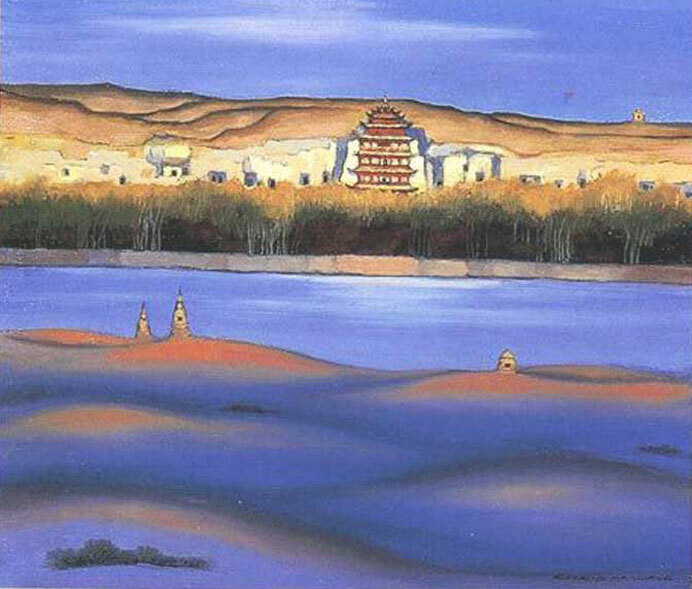 the Mogao grottos in Dunhuang. 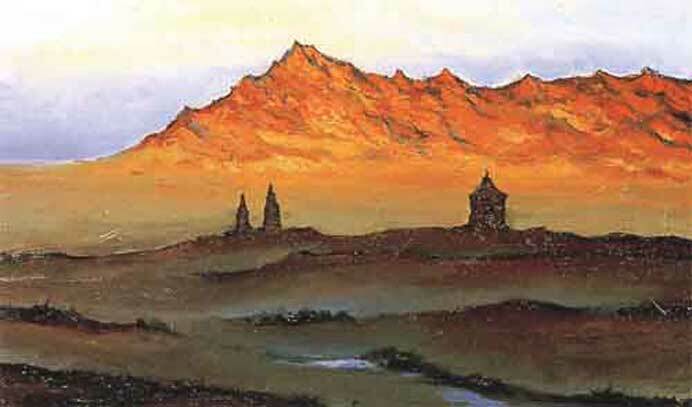 They introduced him to painting and watercolor, from the age of twelve. and to copy the frescoes. He graduated from the School of Arts, Northwest University. 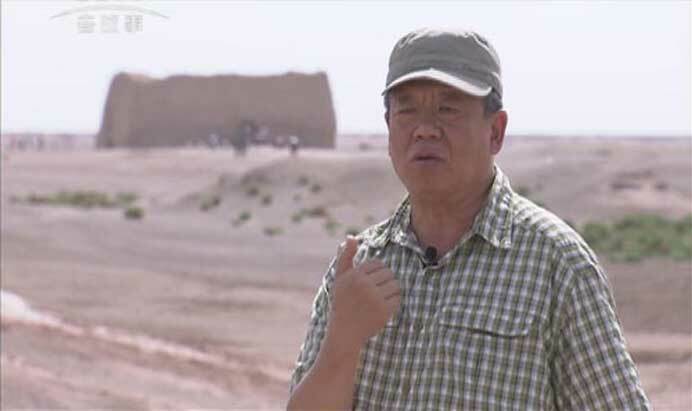 On return to China, he was professor and researcher at the University of Hangzhou. He created a series of large formats on the theme of prosperous China. of his father, he painted Soleil Méditerrannéen.